The Hungarian Grand Prix has been held at the Hungaroring circuit outside of Budapest every year since 1986. Only Monaco and Monza can claim a longer continuous presence on the F1 calendar. The 2019 race is on 1-4 August. The first Hungarian Formula 1 Grand Prix, held in August of 1986, was the culmination of Bernie Ecclestone’s desire for the sport to venture beyond the Iron Curtain. After considering Moscow, the initial Hungarian plan was for a race to be held on the streets of the capital Budapest. In the end, the communist authorities in Hungary decided to construct a purpose-built track 19km outside of the capital. The Hungaroring circuit was completed in just eight months and the first race drew an estimated 200 000 fans from all over the Eastern Bloc. The tight, twisty Hungaroring circuit is located in a valley, which provides excellent visibility for fans. From higher vantage points, it’s possible to see around 80% of the circuit. At 4.381km, the Hungaroring is the third shortest Formula 1 circuit on the current calendar and the second slowest after Monaco. The tight layout of the circuit makes overtaking difficult, one reason why many drivers and fans don’t rate the track highly. The race is held each year at the height of the European summer, often in stifling heat. In 28 years, rain has only fallen during the race three times, in 2006, 2011 and 2014. Estimated race-day crowds have hovered around the 100 000 mark in recent years. During Robert Kubica’s first stint in F1, the Hungarian event became the defacto Polish Grand Prix, with as many as 25 000 Polish fans making the trip to the race each year. With his return to the grid in 2019, it’s likely that attendance figures will grow once again. Hungary remains a popular F1 destination for fans from all over Europe. A five-year contract extension was signed in 2013 which will guarantee the Hungaroring’s place on the Formula 1 calendar until at least 2021. 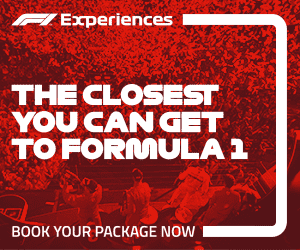 Hungarian Grand Prix: did you know? Lewis Hamilton has won more Hungarian Grands Prix than any other driver, with his tally currently at six. McLaren have enjoyed more wins here than any other team, with 11. Michael Schumacher currently holds the record for the most poles at this track. Lewis Hamilton could equal the German driver’s seven poles at the circuit in the 2019 event. Jenson Button took his first F1 victory at the 2006 Hungarian Grand Prix, winning the race from fourteenth on the grid. It’s one of only two times, the other being Nigel Mansell in 1989, where the race has been won from further back than fourth on the grid. Aside from Button, Damon Hill, Fernando Alonso and Heikki Kovalainen all took their first F1 victories at the Hungarian Grand Prix. While many drivers can boast a 100% finish rate at the Hungaroring, it’s Ralf Schumacher’s run which is the most impressive. He finished the race on all ten of his Hungarian Grand Prix appearances. In every season from 2005 to 2017, the winner of the Hungarian Grand Prix failed to go on to win the Drivers’ Championship. In fact, in its history there have been just nine occasions where the winner of the event has won the title in the same year. Zsolt Baumgartner is the only Hungarian driver to have competed in the Hungarian Grand Prix since it joined the F1 calendar in 1986. Robert Kubica is the only driver to have been disqualified from a race at the Hungaroring. On his race debut, the Polish driver finished seventh but was later disqualified as his car was 2kg underweight. Ferrari have been present at every Hungarian Grand Prix since 1986, but it took until 1999 for both of their cars to reach the chequered flag in the same race here! Nigel Mansell and Michael Schumacher are the only drivers to have claimed a World Championship here. Mansell took his only title at the track in 1992, while Schumacher took his fourth at the 2001 event. Felipe Massa was the victim of a freak accident during qualifying for the 2009 race. He was struck in the head by a suspension component which broke away from Rubens Barichello’s Brawn. Massa suffered a serious eye injury and was ruled out of racing for the remainder of the 2009 season. Nelson Piquet passed Ayrton Senna around the outside of turn 1 (on opposite lock!) on his way to victory in the inaugural Hungarian GP of 1986. Many consider this to be one of the best overtakes of all time! Nigel Mansell secured his only World Driver’s Championship in 1992 at the Hungaroring with five races to spare. Michael Schumacher also won his fourth championship at the circuit, in 2001. In 1997, driving the unfancied Arrows, Damon Hill came within three laps of a famous victory at the circuit, before a hydraulic issue forced him down to second. Jensen Button won the 2006 race from fourteenth on the grid. Michael Schumacher was just awesome and his record will be unbeaten for many years..
Seb Vettel won the US Grand Prix in 2013 at Austin. You are right, this was old information. We’ve updated it now!